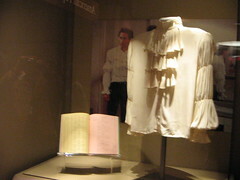 I spent Saturday afternoon at the National Museum of American History, viewing its latest acquisition: Seinfeld’s puffy shirt. 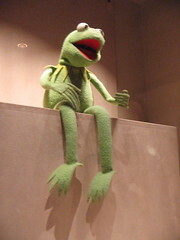 Also pictured: Kermit the Frog. So glad to see you’ve been using your time wisely…. Pau – Are you allowed to take cameras into the Smithsonian? That’s hysterical though – you got me to read the entire WashPost article on the event. Yes, cameras are allowed, but turn off the flash.